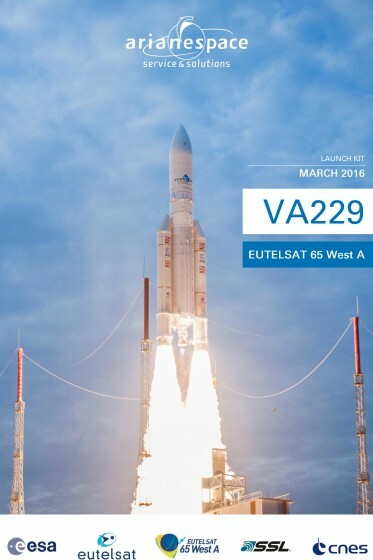 The early morning Arianespace mission with EUTELSAT 65 West A is now underway following Ariane 5’s liftoff from the Spaceport in French Guiana. 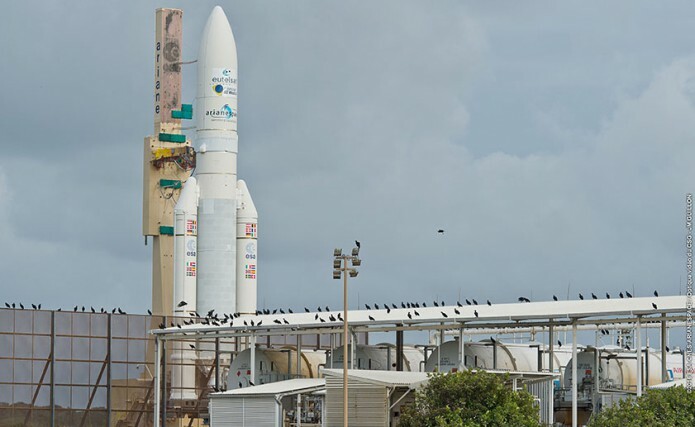 Total lift performance for this launch is estimated at 6,707 kg., with the satellite passenger being deployed during a rapid flight sequence of 27 minutes. Learn more about Flight VA229 with the launch kit.